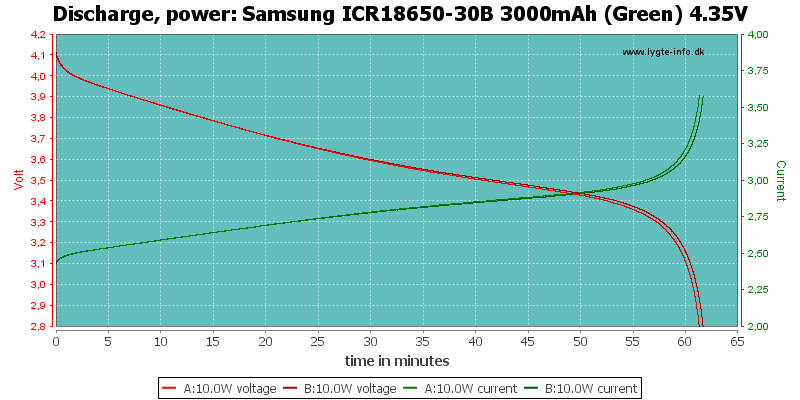 Note the charge voltage, it is +/-0.03 volt tolerance, not the usual +/-0.05 volt. 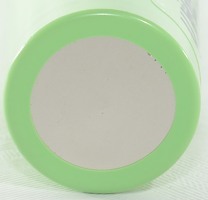 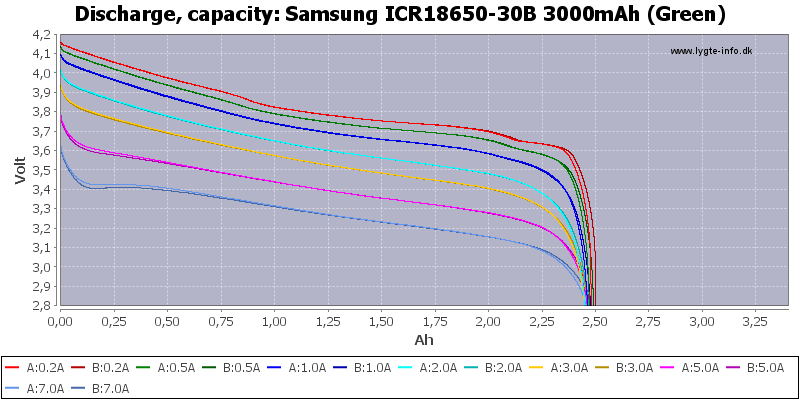 These cells are high capacity cells with moderate current capability. 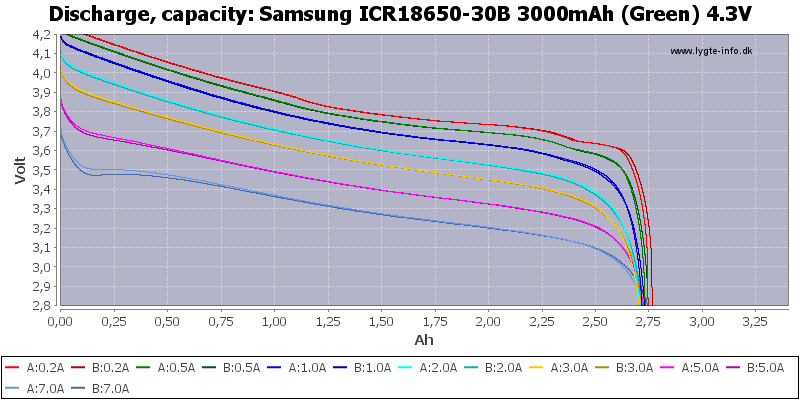 The higher voltage means more energy. 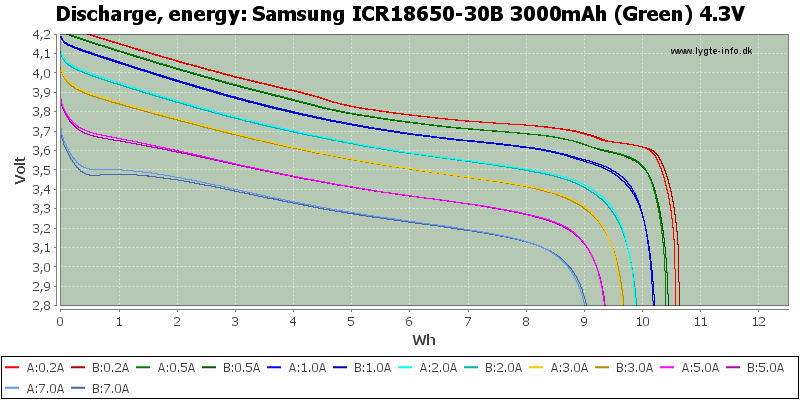 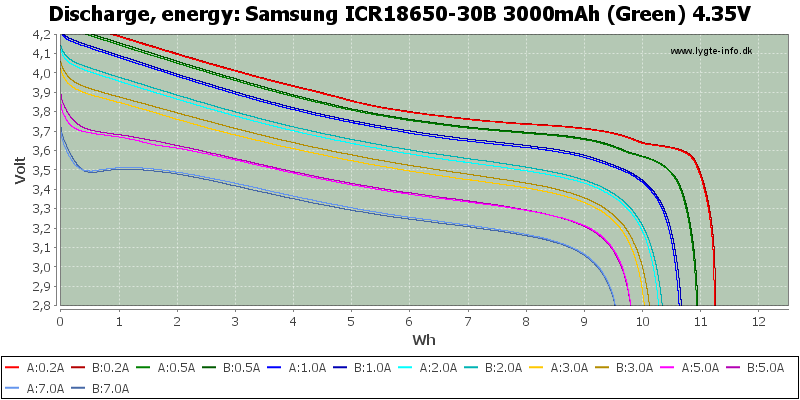 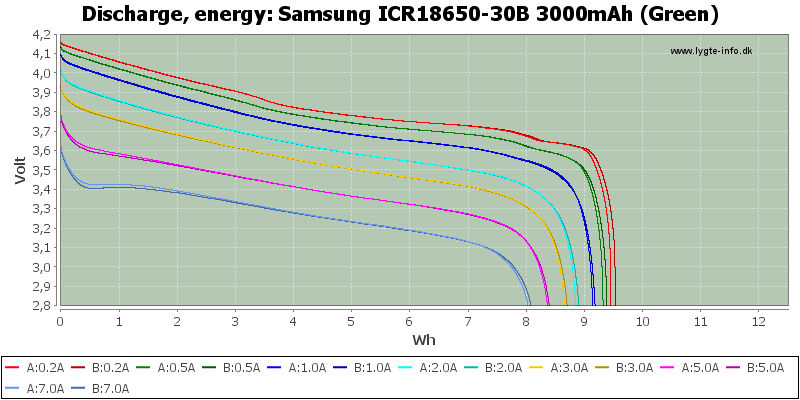 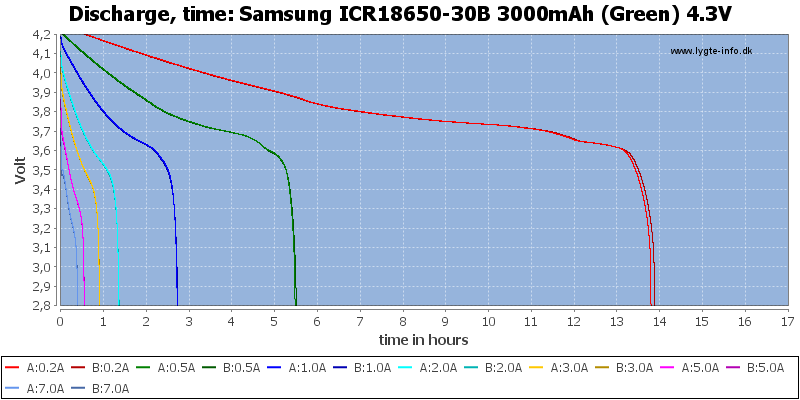 The discharge curves looks nice, good tracking and nearly constant capacity. 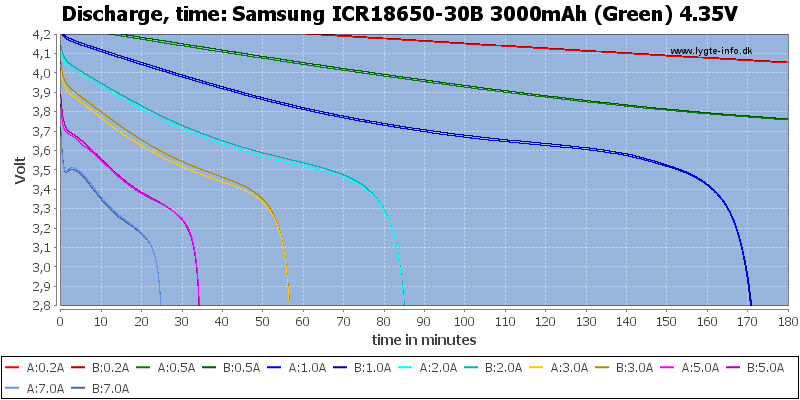 The cell has a little trouble with the 7A track, it heats up a bit and this improves the performance. 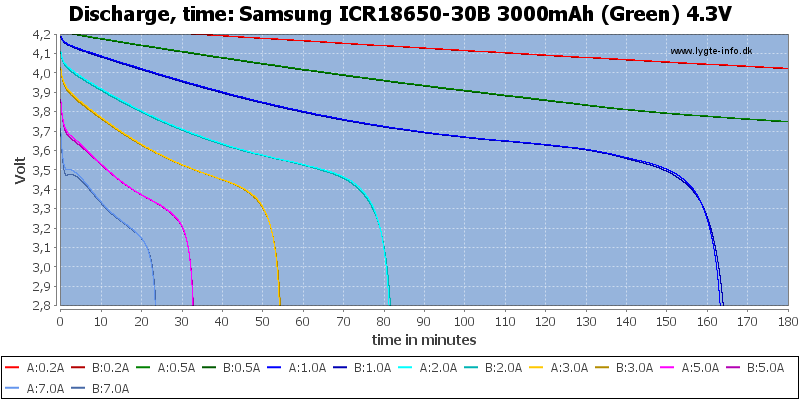 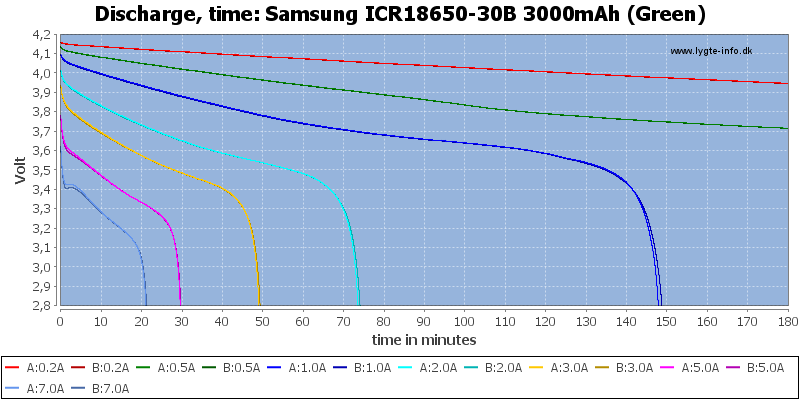 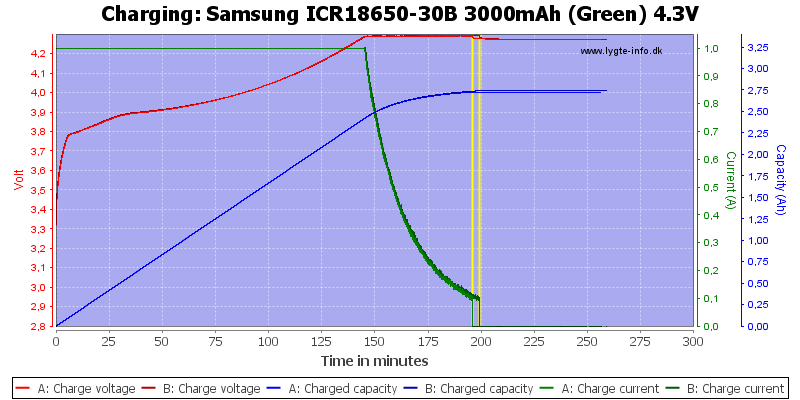 Reducing the charge voltage to 4.30 volt means losing about 100-150mAh. 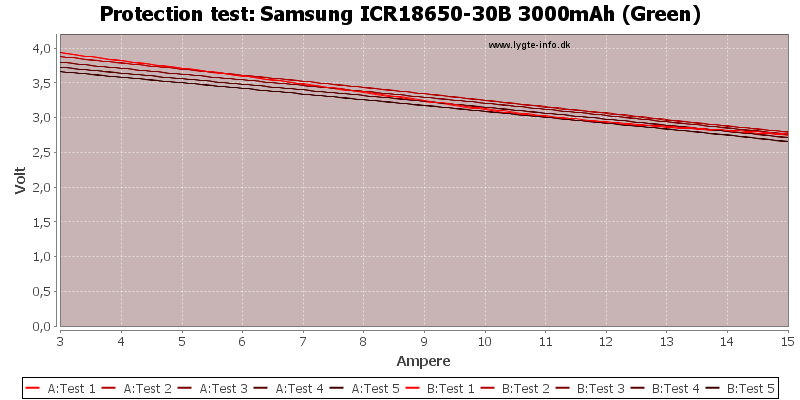 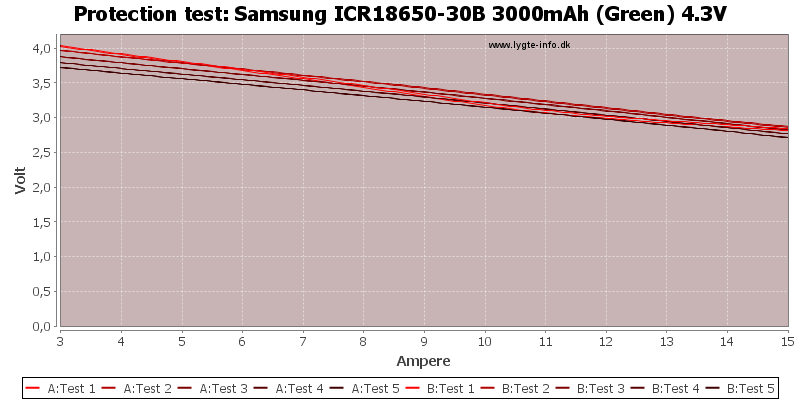 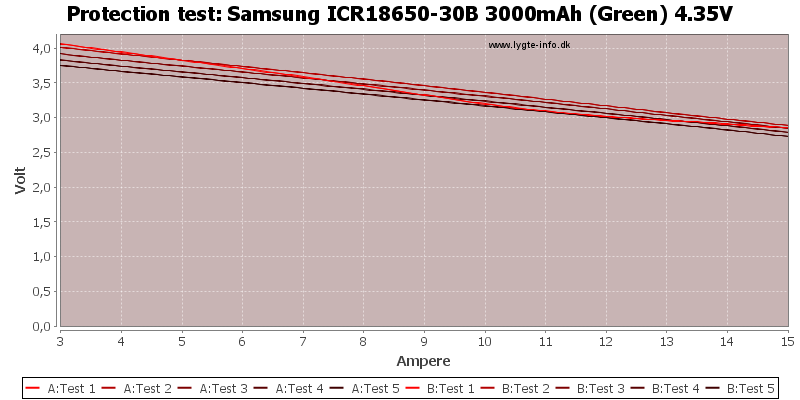 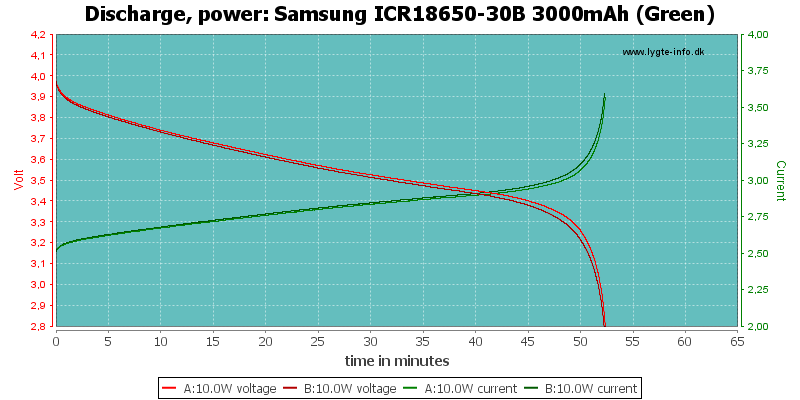 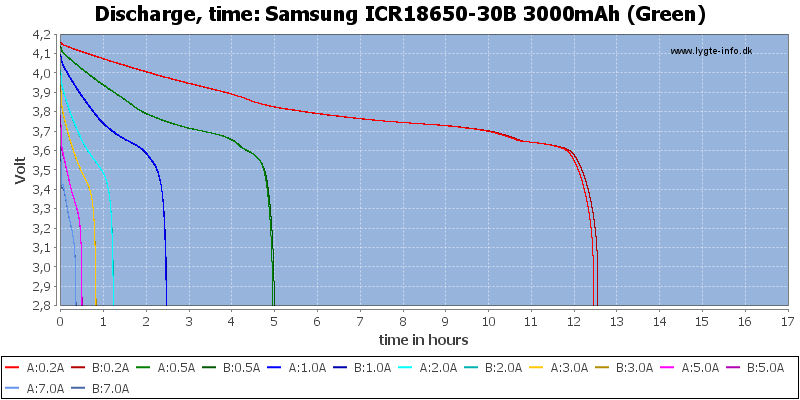 The slightly lower voltage makes the discharge curve be more load independent. 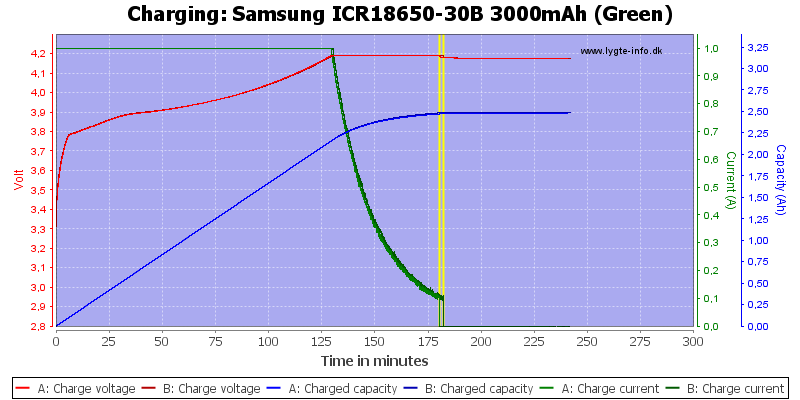 At 4.2 volt charging the loss is about 400mAh compared to 4.35 volt. 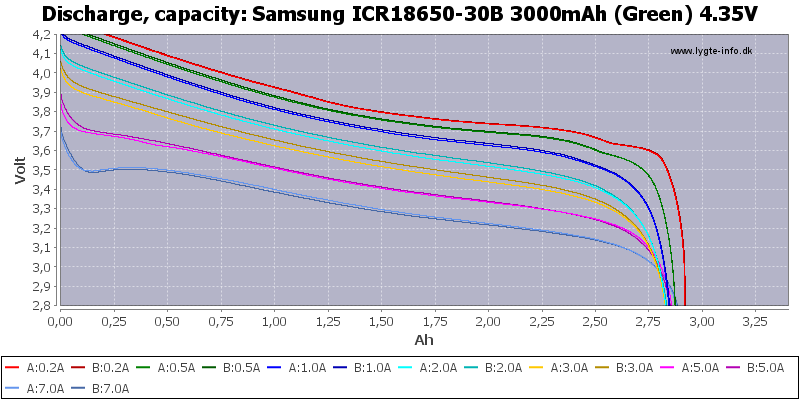 The independence of load is also present at 4.2 volt. 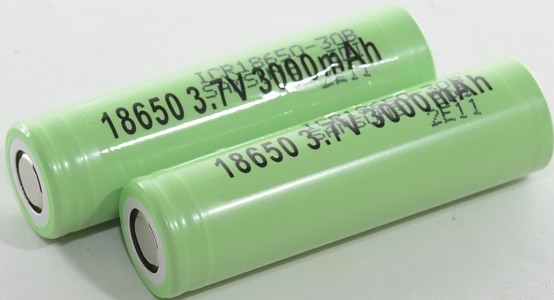 This cell has a more flat discharge curve than some high capacity cells, this means higher voltage at the last part of the discharge at any charge voltage. 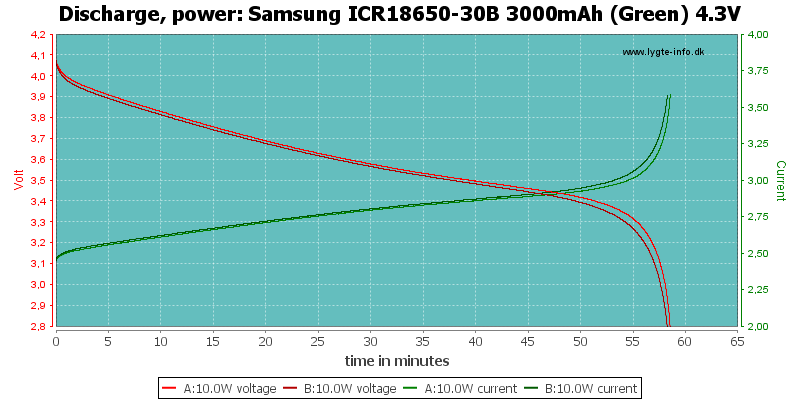 The initial part of the discharge will be higher when charged from 4.35 volt (only at low loads). 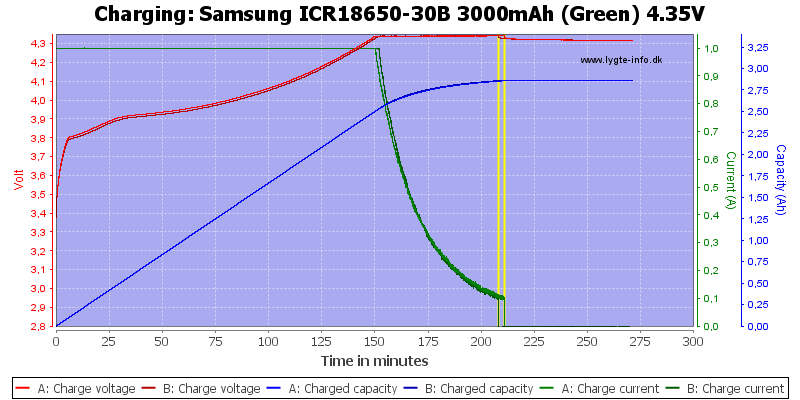 It is a very good cell, but requires a 4.35V charger for best performance. 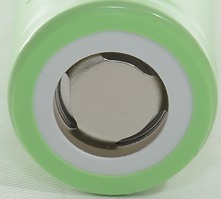 For 4.35 volt chargers check my chargers reviews, Xtar has a some: WP2h, VP2, SP1.